This game is a classic. Kids love it, and there is no set up required. The children sit in a circle. One child is selected to be it and walk around the circle. As they walk around the outside of the circle, they tap each child’s head and say “Duck.” When they get to the child they select, they tap their head and say “Goose.” The Goose must get up and run around the circle chasing “it”.” The person who is it must try to get all the way around the circle and sit in the Goose’s spot without getting tagged. The Goose then becomes the next it. If the “it” doesn’t make it back without being tagged, they must sit in the middle of the circle until the next round. All you need for this is a rope (a jump rope works well) and some music. Two leaders hold the rope and, as the music plays, each child must try to walk under the rope without letting it touch any part of their body. The only catch is that hands, arm, feet and knees are not allowed to touch the ground (you can suspend some of these rules with really young kids). If the rope does touch the child, that child is out. After every child has had a turn, the leaders lower the rope and the process continues. Continue lowering the rope after each round until only one player is left. Line the kids up in a circle. One child walks around the circle with their hands above their head touching their palms together (“Walk Like An Egyptian” style for all you fan’s of 80’s music). In this pose, the child looks like a knife. When that child is ready to “cut the cake” they bring their arms down between two of the sitting players. Those players must jump up and run around the circle in opposite directions. The first one back is the winner and gets to be the cake cutter for the next round. Kids love balloons. For these relay races, you will need one balloon for each team. Have each team line up on one side of the room. Each player must bat the balloon (without letting it hit the ground) all the way to the other side of the room and back. When they get back to their team, the next player takes the balloon and does the same. The first team with all players back in line wins. Freeze tag is a simple game of controlled chaos. One or two players are selected to be “It” (depending on the size of your group, you may need more). If It tags someone, they are frozen until someone else (non-It) tags them to unfreeze them. The goal is for the players to get back to a pre-defined home base without being frozen. This is another classic. All kids line up on one side of the room against a wall. A leader stands facing away from the children and says either “red light, green light or yellow light.” On Green Light, children are allowed to walk quickly towards the leader. On Yellow Light, they must walk slowly. And, when the leader says Red Light, they must stop immediately. If a player continues to move after the leader says red light, they must go back to the beginning and start over. The first player to touch the leader wins. In this game, the children are given a series of commands like run in place, do jumping jacks, scratch your head, pat your belly, etc. If the leader precedes the command with “Simon Says” the children must start to do the activity, or they are out. If the leader does not say “Simon Says” before the command, the children should ignore it and continue with what they were already doing. 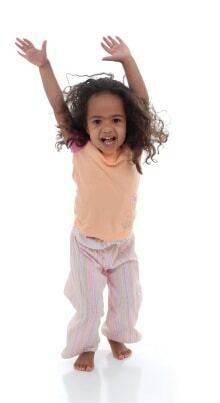 If a child does begin to do the activity which was not preceded by “Simon Says,” they are out. Last child standing wins. A simple game to play with kids is similar to the old game show “Win, Lose or Draw.” In this game, the children are divided into two groups. Leaders take turns drawing pictures on a white board, and the first team to correctly guess what the leader is drawing gets a point. Play to a pre-determined number of points. Tony Kummer (Editor) reviewed & updated this page on : July 2, 2015 at 6:10 pm. All our content is peer reviewed by our readers, simply leave a comment on any post suggest an update.